Metallica, jealous much? 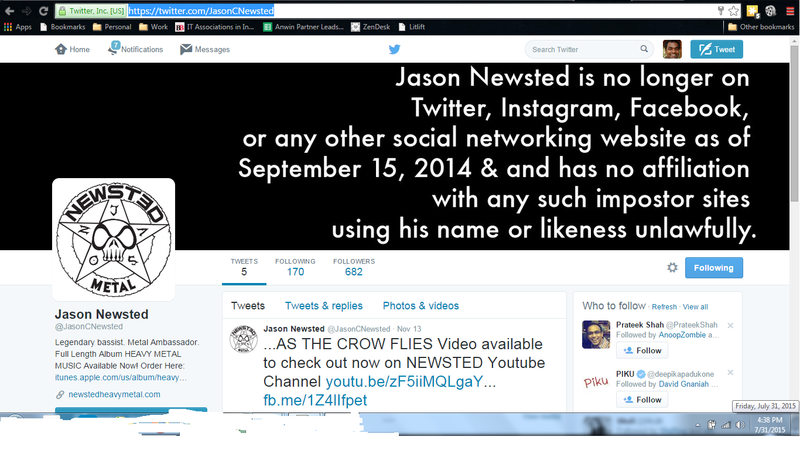 What did you do to Newsted? Screenshot from a Twitter account. Listened to this amazing song a thousand times and now I am almost sick of it :-). Tip: Don’t listen it to the death so it stays fresh every time you hear. Ladies and Gentlemen, Electric Worry by Clutch. Yay!. Anw.in domain name is still active. I am happy and quite relieved to be frank. A small thanks. Nothing else has changed.